The Army’s New Physical Fitness Test Has One Really Big Problem. Here’s a Solution. Earlier this year, the Army laid out its plans for the new physical fitness test it plans to implement by 2020—the Army Combat Fitness Test (ACFT). The strongest argument in favor of the new test is that high correlations between the ACFT exercises and the demands of ground combat should force units to better train soldiers. Still, it has generated considerable debate. Some argue this shift in training culture will decrease injuries, while others worry these new exercises may injure poorly trained soldiers. Moreover, fielding the new test will cost about $30 million. And problems may be magnified in the National Guard and Reserve, where the test’s longer duration will bump up against limited mobilization hours and widely distributed units. Assuming those problems are surmountable, though, we still see a gap in the discussion: What about the special operators, foreign area officers, and soldiers assigned to remote locations or any of the 800 small bases abroad? Fortunately, the ACFT is not the first time the Army fielded an expensive new test to improve a fundamental component of soldiering. We recommend the ACFT program managers at the Center for Initial Military Training take a page from the past and develop an alternate test: the ACFT-Expeditionary. As rifle marksmanship has the ALT-C test, the ACFT needs an alternate that is just as challenging, but less resource- and space-intensive. Unable to build sufficient pop-up or “Trainfire” rifle ranges between 1956 and 1987, the Army adopted the less resource-intensive ALT-C alternate marksmanship tests. The ACFT should take two lessons from its marksmanship compromises. First, just as many soldiers did not have access to Trainfire ranges, some soldiers will not have access to the ACFT’s equipment or space requirements. Without these resources, the ACFT will be impossible, necessitating an alternate test. Second, Army policy can ensure units prioritize complete ACFT testing to meet the program’s goals. Because the alternate marksmanship tests are less resource-intensive, units sometimes favor them. However, recent policy changes penalize units who use the alternate test without sufficient justification. Army leaders should pay attention to lessons from the marksmanship program as they are similar across three dimensions. First, both tests seek to improve fundamental soldier skills: target identification and marksmanship in the 1960s versus physical fitness today. Second, both proposals include expensive, complicated fielding plans. Finally, significant debate accompanied both the ACFT and the Trainfire marksmanship program. After the Korean War, the Army developed and adopted the resource-intensive Trainfire system. Amid concerns about soldier lethality during war, the Army Research Institute found the old marksmanship test wanting. The old test would be familiar to soldiers who train on known-distance or “KD” ranges. On these ranges, soldiers fired their rifles from one hundred–yard intervals at circular targets. After firing, soldiers received feedback on their shots before adjusting their sights or refining their marksmanship fundamentals. This old test assessed a soldier’s ability to engage circular targets at known distance—hardly a realistic test. Similar motivations are driving adoption of the ACFT today. Trainfire improved acquisition and marksmanship, but at a high cost. The Army Research Institute proposed a test modern soldiers would recognize. Soldiers fired forty rounds at human-shaped silhouettes at ranges from twenty-five to three hundred yards from a variety of shooting positions. This test combined target detection with marksmanship, while reducing the number of hours and bullets required. However, the new test required electronic target lifters that sensed bullet impacts and dropped. Though the new test required fewer bullets and training hours, the costs of building and maintaining these new ranges were tremendous. Since Trainfire’s introduction in the mid-1950s, we estimate the Army has spent hundreds of millions of dollars on Trainfire and its successor programs. Each new range cost about $6 million in inflation-adjusted currency. In 1959 alone, the president’s budget requested almost $16 million in 2018 dollars to construct Trainfire ranges. This program began in the mid-1950s and continues through today, though the ranges are now called automated record fire ranges. Despite emphasis on fielding these ranges, access remained a problem. Table 1, from a 1987 Army Research Institute study, found huge gaps in access to record fire ranges necessary for rifle qualification even thirty years after Trainfire became the Army’s only rifle qualification test. The statistics drove the Army to find a solution—alternate tests on known-distance and twenty-five–meter ranges. These alternate tests sought to mimic the Trainfire test. Under time constraints, soldiers fired forty rounds at paper targets. While the KD alternate test was weakly correlated with record fire scores, the twenty-five–meter test was not significantly different from the Trainfire test. Based on this research, the Army adopted both KD and twenty-five–meter alternate tests. However, comparatively low costs and the perception that it is easier leads some units to favor the easier-to-administer twenty-five–meter alternate test over the full test. These soldiers miss key components of Trainfire not tested by the alternate tests: engaging at long distances and target acquisition. The Army’s draft 2018 Integrated Weapons Training Strategy pushes back against abuse of alternate tests. Only colonels and higher can authorize alternate tests, and even then soldiers will only “validate” their annual requirement. This means soldiers “will not be eligible for badges or promotion points, even if they qualify ‘Expert’ on the Alt-C target.” With Army policy firmly behind the full test, units will prioritize individual marksmanship and only use alternate tests when deployed to austere locations. Army planners should take two lessons from the rifle marksmanship program. First, fielding challenges will require an alternate test. Though the Army invested hundreds of millions of dollars in new rifle ranges over thirty years, remote units still did not have access to the necessary equipment. An alternate test that took advantage of existing, common equipment ensured every unit could qualify on their weapons. Second, policy can curb abuse of “easier” tests. The Army’s 2018 weapons strategy provides strong incentives towards the regular test, requiring units to forecast and plan better training. We propose an alternate test that incorporates the Trainfire’s two fielding lessons: the ACFT-Expeditionary (ACFT-E). This test stresses similar movements and energy systems, but removes space and equipment requirements that will make the ACFT impossible for some units to execute. Like the ALT-C qualification, the ACFT-E fills a gap in resource allocation that may never be filled for units in remote or austere locations. Unlike the ALT-C qualification, the ACFT-E will be just as challenging as the ACFT. Our proposed exercise substitutions (Table 2) will stress the same energy systems as the original ACFT and still be transportable across the world. The most obvious alternative, of course, is the current Army Physical Fitness Test (APFT); after all, it requires little in the way of specialized equipment. But simply retaining the APFT as an alternative test will not work for three reasons. First, the APFT does not address the strength, speed, agility, or power elements of the ACFT—key components of functional fitness. Second, basic training will likely cease training APFT movements, like the sit-up, after upcoming revisions to FM 7-22, Army Physical Readiness Training. Finally, APFT retention will not push physical training past push-up/sit-up improvement and long, slow distance runs. The Deadlift: The ACFT-E swaps the hex bar for a straight one. We recommend that the three repetition maximum deadlift event be modified to allow the use of the standard forty-five–pound straight barbell. A 2016 study revealed that despite different muscle activation patterns, there was ultimately no significant difference between one-rep max values in a population of twenty men with deadlifting experience exercising with a hex bar or straight bar. There is no unit or location that does not have access to a standard forty-five–pound straight barbell. Removing the requirement for units to procure hex bars would save significant space and money. The Standing Power Throw: A standing broad jump should replace the standing power throw. The broad jump has long been used as a norm-referenced test for measuring anaerobic power in adolescents. A 2017 study identified the broad jump as a suitable field test for peak power output. Unlike the standing power throw, this event only requires a tape measure while still allowing a commander to measure a soldier’s power, flexibility, balance and coordination. The Sprint-Drag-Carry (SDC): We propose simplifying the Sprint-Drag-Carry to integrate commonly available equipment with an event called the Sprint-Drag-Carry (Modified). This replaces kettlebell carries with the carry of objects of like weight and sled drags with soldier carries. The Sprint-Drag-Carry is the most resource-intensive event included in the ACFT. On top of the equipment needed to execute the test, the test venue needs twenty-five meters of suitable dragging surface. Army units are currently deployed to many locations around the world that do not lend themselves to the amount of gear or terrain that this event requires. A deployed unit could, for example, replace the kettlebell with ammunition cans. For units stationed at embassies or other locations, dumbbells or any other carryable items that weigh forty pounds (+/- two pounds) can be used. As stated, the drag component would be replaced with the soldier carry (Exercise 3, Guerilla Drill from FM 7-22) utilizing a soldier within twenty pounds and six inches of the individual being tested. Both ammunition can carries and buddy carries are also utilized by the Marine Corps’ Combat Fitness Test’s “Maneuver Under Fire” event, which also measures a soldier’s anaerobic capacity and agility. We recommend removing the drag component because of the requirement for an acceptable dragging surface. The Two-Mile Run: Though the two-mile is a staple of Army fitness testing, we’d swap in the “beep test.” Units deployed to expeditionary locations or smaller embassies may not have access to a two-mile run route. In the past, units deployed to these places have either completed the run on treadmills, an unsanctioned modification to the APFT, or skipped the APFT completely. During a 1986 study completed by the Exercise Physiology Division of the US Army Research Institute of Environmental Medicine, researchers concluded that performance on the two-mile run was correlated closely with VO2 max (maximal oxygen uptake), and therefore a good predictor of aerobic capacity. With that in mind, a more field-expedient method of predicting VO2 max and aerobic capacity would be the use of the twenty-meter multistage shuttle run test, otherwise known as the “beep test.” Multiple studies dating back to 1989 have confirmed the efficacy of using the twenty-meter shuttle run as a predictor of VO2 max and aerobic capacity. The test is universally exportable and can be conducted indoors or outdoors and on a wide range of different surfaces, making it a fair substitute for the two-mile run. Given the recent ACFT validation at the United States Military Academy, we propose West Point also pilot test the ACFT-E. Strong correlations among West Point’s cadets on both tests would provide sufficient evidence for a wider pilot. Following testing at West Point, we recommend testing at embassies and austere locations around the world. ACFT-E implementation would require monitoring from inception, something that the ALT-C qualification did not originally do, but is now correcting. We propose the first O-6 in a unit’s chain of command authorize ACFT-E testing based on mission or resource constraints. Soldier Record Briefs would annotate the type of test most recently completed. We embrace the ACFT’s goals, but hope the Army incorporates two lessons from fielding the Trainfire system. First, equipment rollout and space requirements will prevent some soldiers, be they National Guard, Reserve, or those forward deployed, from taking the new test. The Army should not wait thirty years to realize it did not field enough equipment for everyone to take the ACFT. Second, firm policy on acceptable use of the alternate test must accompany its fielding. Units will prefer to take the easier-to-administer test unless sufficient incentives orient them towards the ACFT. The AFCT-E will still challenge soldiers and meet the test’s intent, while making concessions for units in austere environments. Proactive Army leaders should lean forward and pilot the ACFT-E. The alternative is to leave units to figure out unstudied, unsanctioned methods to complete the test. Our proposed ACFT-E test deserves study so that the soldiers of the United States Army are as lethal and ready as possible, regardless of unit or location. Maj. Zachary Griffiths is an Instructor in the Department of Social Sciences at West Point. He is also an Army Special Forces officer and Resident Fellow at West Point’s Modern War Institute. He earned his MPP from the Harvard Kennedy School in 2017. He tweets at @z_e_griffiths. Capt. Andrew Ferreira is an Infantry officer and Survival Swimming Instructor in the Department of Physical Education at West Point. He holds a master’s of education degree with a focus in kinesiology from the University of Virginia Curry School of Education and Human Development and a bachelor’s degree from the United States Military Academy. I have for 27 years tried and usually maxed out the PT test. There is no way I can max the new one. I think people like me will get an injury trying. Deadlifting 3x 400 and running 2 miles? I'm 46 and can do it but I think some parts are going to come loose on the run. I'm 53 with over 30 years in, we've got two year to train smartly and avoid injuries. I don't like it either,but the alternative proposed in this article seems reasonable if not inevitable. I'm guessing you are far removed from development of the ACFT. A hex bar was chosen to decrease injury. The hex bars you've shown in your photo are specifically forbidden, and hex bars are an easy procurement. If, as you say, there is not a location that doesn't have access to a straight Olympic bar, then there is not a location that also has access to a hex bar. The sprint drag carry requires two kettle bells, two 45lb plates, and a nylon sled. Hardly resource intensive. The army has already stated that turf can be used, so lay 25 yards of turf down inside. No regulation has ever required execution of a fitness test while deployed, so this is a non issue. Any unit that requires a pt test on a deployment has piss poor leaders, because they just made up the requirement. I do agree with the jump though. The National guard has already began procurement and altered its MFT courses to teach for the ACFT. 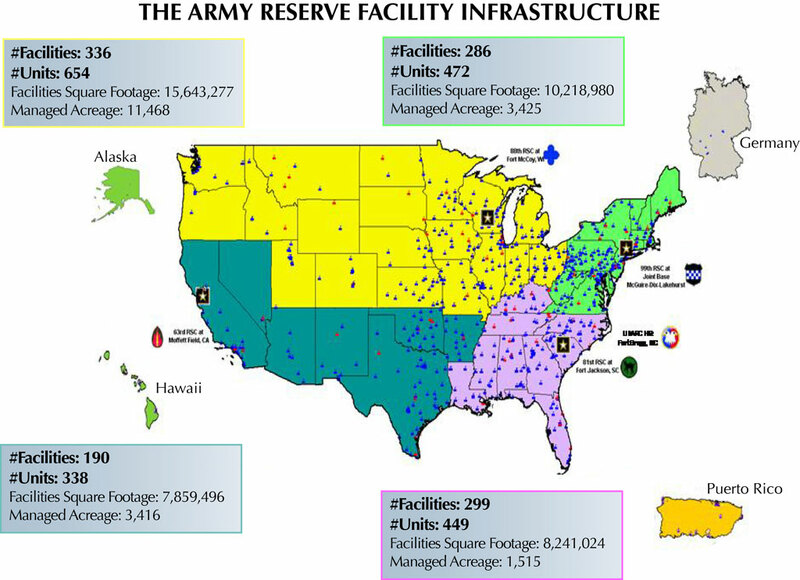 In most states almost all units are concentrated near active duty bases or population centers. The guard will do what it's always done for everything, travel to where it needs. They've been doing it for ranges and training areas forever, this is just another range. Finally, faos and other folks stationed alone or in small groups without access to a gym (I dont think we have an embassy without gym access) travel frequently. Give them the ACFT in Germany, problem solved. People hate change. The APFT was a garbage test and the ACFT goes a long way to improve that. Army fitness has degraded over the years and having to focus on 3 events has resulted in people who can run fast but cant do anything else. Everyone in the army will complain, but that means were doing the right thing with this test. I just hope the army uses it as an opportunity to cull the weak, having 30% of the force non deployable is a huge waste of money. I can do really well on the APFT because it makes sense and it's not illogical muscle failure. This new PT test seems like an extreme workout plan versus a logical way to show your strengths, weaknesses, etc. The APFT already shows results. If you don't work out everyday and balance yourself in everything, you won't get stronger physically, mentally, etc. I honestly can’t think of anywhere in the world that you can’t conduct a two mile run, even at the US most austere and remote embassies, several of which I served at. While I really would have liked a test like this in my 20’s, it strikes me as a solution in search of a problem. Since you all at USMA have an established population which has run both the APFT and new test, how about releasing the scoring data for both tests in the interest of transparency? Some small embassies in hazardous locatons in a city barely have a back yard. As I served at the most remote embassy in DOS at a time it received the highest rates of hazard and hardship pay (outside of Iraq and Afghanistan) you would be hard pressed to convince me that a two mile run location can't be found. Noted this to the TRADOC & iCBT CSM a year ago. The changes to the PT test worked well with your traditional formation but got trickier once you leave an Army installation. As odd as it sounds there are units out there whose Soldier population don’t exceed the number of fingers on your hand. They addressed the specific concerns I had but this is a much more elegant solution. Yeah I forgot anytime we go overseas we pack our milvan fill of straightbars and plates. This test is dumb and unnecessary. This is what happens when the cross-fit weenies get in the ears of senior leadership. Made by a bunch of dipshits who have never seen combat. Seeking earnestly for a solution to a problem that doesnt exist. Oh well, have fun watchung end strength and readiness precipitously drop while the injuries mount up. More room at the top for 25 year old generals, sergeants majors, command chiefs. Stupid sums this up. The APFT is fine. To make it better, replace the sit-ups with a plank. What a waste of money and time. I saw the gear you need for this test. It's *basic* stuff. If you can't get a simple crate with a bar, a ball, a measuring tape and a weight bar anywhere in the world using the best freaking logistics support for any military ever you have a freaking problem. I believe your MOS is supply, no wonder you talk like that. When you are in a Combat MOS there is little support. I dont think you're in the army. Combat MOS no support. Ha. You ever deployed? I spent my first nine years watching the army implement the old new PT test. Nice article. Photo shows Soldiers holding the hex bar incorrectly according ACFT standards. It is to be held using the "lower" handle. The straight bar deadlift, which is really referred to as "the deadlift," is a much better exercise than the hex version. But it requires training, more than the hex bar version, because of the increased back angle. It makes for a heck of a strong back and posterior chain, or a broken one if done wrongly. I would caution recommending a more technical lift as an alternate exercise for one that is less so. In my opinion, the deadlift should have been the chosen exercise from the start, as long as we teach soldiers how to perform the lift safely. And it really is a safe activity compared to other things we do in the Army, just as we train for other things. Great way to put TRAINING back into PHYSICAL TRAINING, because lately we've been an army that just likes to work out. This new test doesn't take into consideration the requirements on the Reserve Component service member. Active units will have the money, facilities, and time to implement and make this work. How is the average reservist supposed to train up for this? Remember, the unit only gets them 2 days a month…that's not enough time to train them. Most reservists could maintain their fitness between drills to meet the current APFT, not all of them have the money to sign up for a gym membership which is what would need to be done…I don't think the Army will fund that. If the point of the AFCT is to determine how we do in combat and we are deployed to a combat zone, why are we taking it? Do you redeploy me if I fail because I'm not "combat ready?" Why are we event talking about taking a test in remote locations? This seems like more of the silliness we are supposed to be getting rid of with the lethality memos. Take the test while in garrison and focus on mission and maintaining your fitness to the best level possible while deployed. And finally – what about personnel in LTHET or ACS? West Point Grad turned Marine Officer here…and proud of my service's notorious thriftiness! The Marine Corps changed to a PFT (pull ups/crunches/3 mi run) for the first half of the year and a CFT (800m sprint, 2 min/30 lb ammo can overhead press, "obstacle course/buddy drag and carry) the second half of the year…in 2007/2008. The typical Army over-engineered response to the same challenge was to create an equipment centric test that will enrich contractors, both initially and when they brand their stuff "US Army Approved" or "Certified for US Army PT" and create a large headache on test day….let alone the rest of the year when units need to store and account for this junk. To contrast the Marine Corps CFT takes empty 5.56 cans and fills them with sand to get them back to 30 lbs: used ammo cans and dirt vs buying mass quantities of kettle bells to SIMULATE ammo cans. Then instead of buying "sleds" to drag, bars/weights to lift, we pair up with a person that weighs within 10lbs of our own weight. Add in a few cones to set up the course, a blue body grenade per lane, a wheel to mark out the 800m sprint, and stop watch and you are complete on equipment. It seems like the new Army test is a very bad case of "not created here"; copy the Marines…but don't "copy" the Marines! I wonder if the GAO will investigate the massive waste of money when someone finally makes the comparison? Google Marine CFT and watch the videos for additional information. Soldiers aren't athletes. Most never will be. The APFT was a test of medical fitness, that anyone could pass with sufficient dedication. But things like balance and coordination cannot be trained in adults: You either have them or you don't. And for most soldiers, they are not duty related. How many competent individuals are we going to discharge or bar from promotion not because they are out of shape, but because they lack the coordination to do football drills or throw a medicine ball effectively? Who climbs a rope in combat (no one)? And as the 2 mile run is retained, the number one source of fitness related injury (distance running) will still hang on in the PT program despite total irrelevance to combat. Instead of this football-camp/CrossFit nonsense, how about just evaluating basic soldier skills (road marching, IMT, carry 2 cans of 50cal ammo, mount an M2 machine gun, evacuate a casualty) to time and standard? 50% of the Army is on a profile or some sort. This test does not have alternative events. Big problem. In the Reserves LIne of Duty injuries are going to increase. I hope these events will be video recorded to capture the injuries for furred disability compensation. The manhours required to conduct this test individually hindered by available equip is going to take away from the training schedule. Everyone is complaining about how this test is too hard/has too much equipment/the old test was faster, and yet I hear most of the same people complain constantly about how the army has gotten too soft and how everyone was tougher back in their day. If you can't deadlift 140 lbs 3 times or drag 90 lbs a distance of 50 m then you are too weak and need to find another line of work. Even the weakest person in the world could work their way up to the minimum deadlift standard with 6 weeks of focused training, and the hex bar was specifically chosen because it is the safest implement for deadlifting among untrained populations. I can see the concern for running-related stress injuries; I believe this would be best addressed by promoting shorter interval sprints instead of the long-distance runs that everyone is fond of. This test also addresses concerns about women in combat roles (since Soldiers in "heavy" units will all be held to the same standard) and forces older Soldiers to maintain a high level of physical fitness (which means fewer fat field grades/generals and sergeants major walking around). The bottom line is that the old PT test was only 40% predictive of success on completing all Warrior Tasks (the basic tasks that every Soldier is expected to be able to do, regardless of MOS, age, or gender) while the new test is 80% predictive. To oppose the new test is to promote convenience and personal comfort at the expense of readiness and lethality. That said, the proposed alternative test seems like a good alternative for units in austere environments that for whatever reason are still required to take an administrative PT test. The alternative exercises measure the same aspects of performance as the standard exercises and utilize equipment more likely to be on-hand. However, let's get through the initial implementation of the ACFT and then go from there. I don't think this ACFT is fair. We are all soldiers regardless of MOS, so we should ALL be tested to the same standards. This new test is just a waste of tax payers money to buy new equipments, train new trainers etc. All you need is a stop watch not all these crap. I am not sure what Army the people that developed this test are in, but though this test has some merit the Army must be able to execute PT test with a minimum of resources in a timely fashion. A PT test is nothing more than a baseline assessment tool. I was combat Arms my entire career serving in Armor and Special Forces. This test would have done nothing to improve my capabilities or those of my fellow soldiers. What this test does do is codify different standards across the Army. The problem is not the PT Test, it is leadership problem. When Jessica Lynches unit got rolled up in Iraq that was not a surprise it was the fulfillment of an issue the Army has had for years. The Army always focused on the combat units proficiency, but they never looked at the support. A cumbersome equipment centric event will not fix poor leadership.